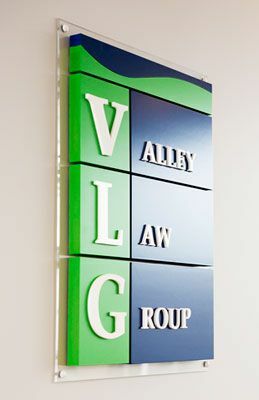 Valley Law Group LLP was founded in 2005 with a view of providing high-quality legal services at competitive prices with a personalized touch. This remains our guiding vision as we continue to serve the legal needs of individuals and businesses in the Fraser Valley and beyond. The lawyers of Valley Law Group LLP provide legal services "downtown" in quality without the downtown prices. Our team-focused approach to the practice of law has made us one of the larger full-service civil law firms in Abbotsford with four lawyers practicing from our office in the Gateway Building on McCallum Road. Valley Law Group LLP has a strong complement of lawyers supported by experienced and capable legal support staff. We are a full-service law firm that can meet the vast majority of our clients' legal needs. Our clients range from individuals dealing with a legal matter for the first time to large financial institutions. We represent families, small businesses, large businesses, and we bring our experience and knowledge to every matter for each of our clients. Further, we believe that we ought to serve the communities in which we live and work. To achieve this, our lawyers are and have been involved in many local and national charitable organizations, have supported local youth sports, and have volunteered their time at community events. Our lawyers also believe strongly in supporting those who are unable to afford legal services, and ensure that part of their time is devoted to providing legal assistance to those in need. We at Valley Law Group LLP are committed to providing high-quality, prompt, and cost-effective legal services and solutions to each client. We look forward to serving you.